Home Research Faculty Kevin Brown, Ph.D. 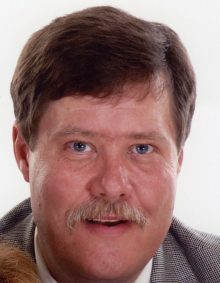 Associate Professor Kevin D. Brown earned his Ph.D. degree in Cell Biology at the University of Alabama-Birmingham in 1991 in the lab of Dr. Lester (Skip) Binder. He then joined Dr. Don Cleveland’s laboratory at Johns Hopkins where he worked on molecular mechanisms controlling chromosome migration and the cell cycle. In 1995 he joined Dan Tagle’s and Francis Collins’ group at the National Human Genome Research Institute/NIH where he began research on the function of the ATM kinase in the DNA damage response. In 1998 he took a position at LSU Health Sciences Center-New Orleans and rose to the rank of Associate Professor. He joined the Department of Biochemistry and Molecular Biology at UF in 2004. Dr. Brown has served on NIH and DOD study sections and as a reviewer for numerous journals in the field. The broad focus of our studies is to understand the mechanisms that maintain genomic stability and how dysregulation of these mechanisms drives cancer development. One of our projects involves analysis of the epigenetics of cervical cancer. Specifically, we are working to define novel DNA methylation marks that can be used as prognostic biomarker. Our second project focuses on ATM, a kinase that activates DNA damage response (DDR) and its role in suppression of breast cancer. One project is focused on uncovering novel tumor suppressive pathways that are activated by ATM within mammary epithelium. Another is aimed at understanding how ATM functions in maintenance of mammary gland homeostasis. These studies are being conducted using a novel conditional knockout mouse line that we have developed as well as appropriate cultured cell models.